What is it about new cars that make people spend crazy amounts of cash on them? They sure do smell nice, but do you really need the latest gadgets, styling and license plate number? Or can you drive a 14 year old version of a similar car with only a few miles on the odometer? 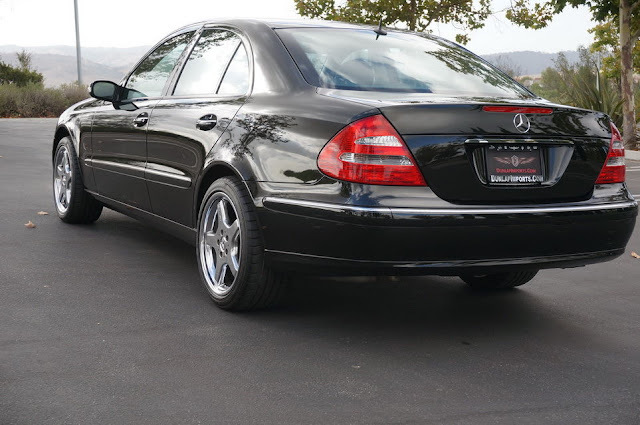 Like this 2003 Mercedes-Benz E320 here on eBay with 26,000 miles on the odo offered for $13,488 buy-it-now or make-offer in Upland, CA. Twenty six thousand miles? Most people put that many miles in the first 24 months of ownership, but this car has lived most of its life in garages, driveways or parking lots. Over the past 14 years, this car has been driven 26,000 miles, which at an average of 30 miles per hour means it has spent 866 hrs or 36 days on the road. This means that it was driven less than 1% of the time it was owned. 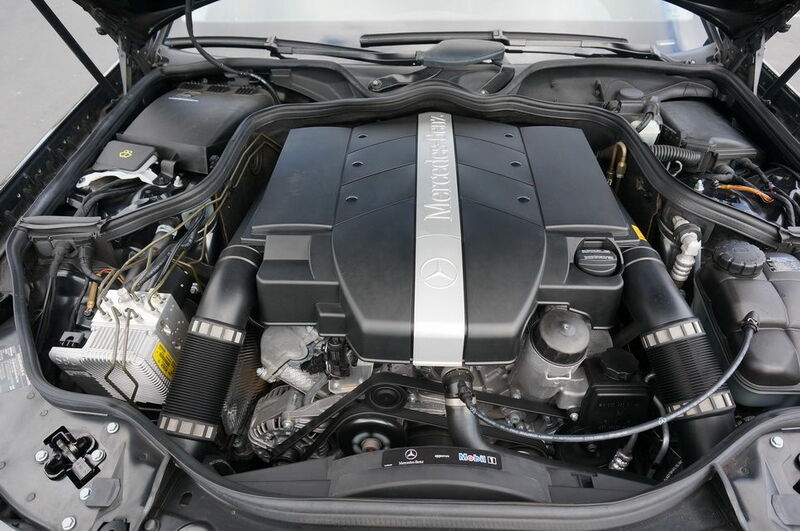 Under the hood is a 3.2 liter DOHC V6, which pushes out 218 horsepower and 232 ft-lbs of torque into the rear wheels. With the stock 5-speed automatic gearbox the car hits 60mph in about 7.3 seconds -- not a blistering pocket-rocket, but not a W210 diesel either. 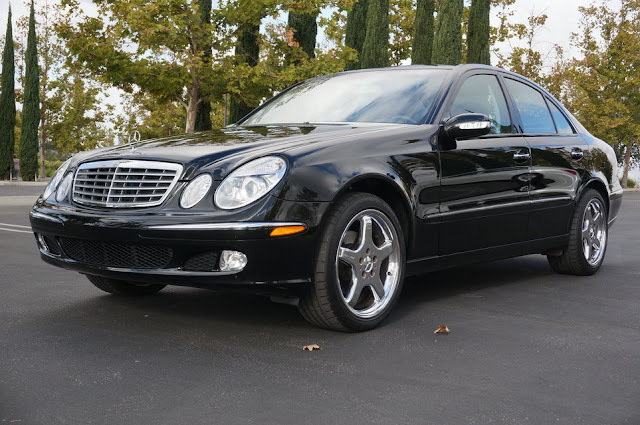 The W211 chassis comes from the dark ages of the evil Daimler-Chrysler alliance, but it was designed and engineered in German before the unholy merger, so it isn't that bad of an automobile for long term ownership. Material quality wasn't bad and this low mile example should be better at dollars-per-mile over the long run versus a high mile example. "The W211 chassis comes from the dark ages of the evil Daimler-Chrysler alliance, but it was designed and engineered in German before the unholy merger, so it isn't that bad of an automobile for long term ownership." apart from some electrical gremlins (like loss of electric current at the electric seats) and the ill-fated SBC brakes (which can be disabled, turning the braking system into a reliable, common setup), the W211 is a great car. engine and transmission are tried and true, the design has aged well, and the comfort is second to none. I'd de-chrome the wheels and enjoy it for the price of a Versa. +1 This is a screaming bargain at those miles. Less than the new price of nearly everything, and all the comfort, composure, and presence of a Benz? Hell, yeah. Buy it, put 80k miles on it, and sell it on. Great daily transportation for a fantastic price. No brainer. 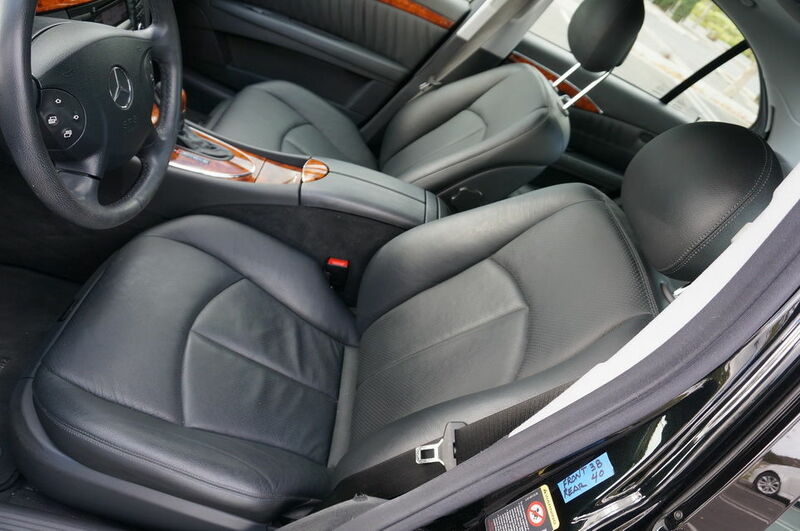 You would be hard-pressed to find an Accord, or a Camry, with those miles at this price, and the Benz is so far above them for the commute that its almost silly. I thought only the s class had SBC. I am no MBZ expert. But given the online chatter from owners of the W211, I thought their service problems were legendary (rivaling certain British sports cars). Hence the low miles: The owner(s) had it in the shop more than at home. Nein, Stan, nein. The only people talking like that are those that didn't own one. -Fleetwood (The w211 e350 daily driving with 120k miles and only a $100 steering angle sensor failure Fleetwood).